Moxie! Geraniums – Our new compact interspecific geraniums! 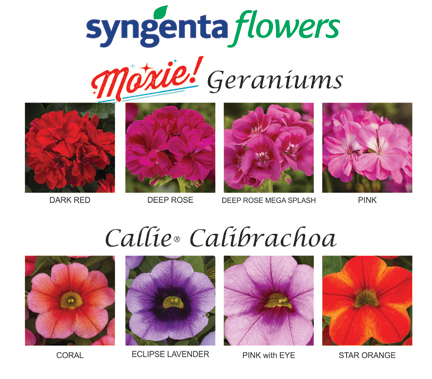 Callie Calibrachoa – Real new flower patterns, with a bit more vigor than Cabrio. All selected for day neutrality. Click image below to view a complete listing!